A blog can be the most powerful communication tool that travel agents and similar firms have at their disposal. If you or your travel copywriter are posting good content, it can help you to bring in additional traffic, generate repeat visits to your website and engage with your customers effectively on another level. The comments section meanwhile can provide you with vital intelligence about who your customers are and what they’re looking for. By working with a professional travel copywriter you can create an informative resource that inspires and provides extra value to your site’s visitors, particularly if you vary your posts regularly. Here are a few ideas for the kinds of posts you can create. By providing additional information on the various destinations you serve, beyond the usual brochure blurb, you can not only generate extra interest in your holidays but also position yourself as a useful informative resource. Your travel copywriter might create a guide on a specific resort, country or even region. Tips-based posts are always popular, and highly shareable. You could focus on a broad subject, such as ‘Tips for making the most of your holiday’, or drill right down to specifics, such as ‘Five packing tips’ or ‘Tips for choosing the right diving school’. While some people may visit your site with a firm idea of the place they want to visit or the type of holiday they’re looking for, some may be less certain. Your travel copywriter can provide the latter group with inspiration by creating posts that investigate the possibilities of different kinds of holidays. And once they’ve got a taste for a particular type of holiday, their next stop will undoubtedly be your online brochure, so make sure you include links and a call to action. People are often most inspired by the attractions and landmarks that await them at their destination, whether the pyramids of Egypt, the temples of Thailand or the theme parks of Florida. In your posts you could focus on particular groups of attractions, as in the preceding examples, or single out one specific landmark to explore, such as Stone Henge or the Taj Mahal. Most people are suckers for a good offer. Though you should steer your blog away from consistent self promotion, letting visitors know about your latest special offers benefits both you and them. An experienced travel copywriter can pick out and highlight the most appealing parts of the offer, and create an appetite for it based on the benefits to the reader. You should also keep your customers abreast of news relating to your company, such as a new destination that has opened up or the launch of a forthcoming brochure. Once again, be sure to connect your news with your reader’s emotions by highlighting the benefits to them rather than focusing merely on features. While some simply enjoy the sun and cocktails by the pool, for many people a holiday is a unique chance to explore another country’s culture and national personality. You can appeal to these people with posts that delve into the culture and the heritage of a destination, beyond the stereotypes and the glossy brochure. You might provide a broad overview of a country’s culture and history, or you might look at one specific element of that culture, such as Brazilian Samba music or Mongolian throat singing. Another popular type of post which is infinitely shareable is the numbered list post. This type of post can help to inspire blog readers and encourage them to investigate further, so be sure to link internally to your holiday offers. Examples of numbered list posts include ‘Top ten extreme sports destinations’ and ‘Five World Heritage Sites you must visit’. Having your travel copywriter create posts that are likely to be shared on social media is highly advantageous for two reasons. Firstly they will directly generate additional traffic to your website, substantially so if they go viral. Secondly they can improve your ranking in the search engine results pages (SERPs), as search engines like Google are increasingly using social signals in their ranking algorithms. 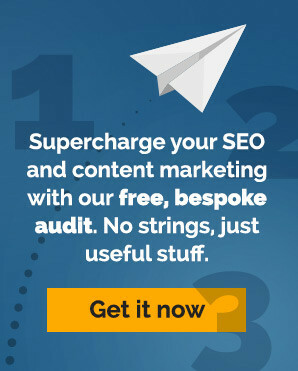 ← Pay for Clicks or Hire an SEO Copywriter?